How to convert AVI to MP4 with Cucusoft AVI to MP4 converter? 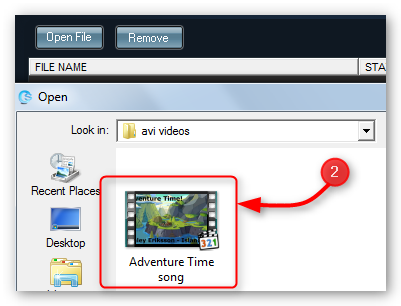 Learn the ULTIMATE way of converting AVI to MP4 format at lightning speed! Do you have a collection of AVI files that you wish to convert to MP4? Cucusoft AVI to MP4 Converter is the perfect software to trust for AVI to MP4 conversion. AVI (Audio Video Interleave) format used to be the most commonly used file format in the world, but as technology evolved, so as the multimedia format. Currently, MP4 (MPEG-4) file format ranks as the most popular and widely used among multimedia formats because of its compatibility with almost any portable device. Like most of us, you might have a number of AVI files and is searching for a program that can convert your AVI to MP4 to make it compatible with your latest device. Cucusoft AVI to MP4 Converter is the best choice to do that job for you. This amazing software can convert those AVI to MP4 format in an instant, while boasting with superb video quality as well, so download Cucusoft AVI to MP4 Converter on your computer and start converting your AVI to MP4 now! After you like us, you can get a 20% off coupon code! Supports conversion of any type of format to most portable devices. It can output to any audio or video file format like H264, MP4, WMV, AVI, MOV, RM, 3GP, flv, SWF, mpeg-1, mpeg-2, VideoCD, SuperVideoCD, and DVD, and audio format AC3, AAC, MP2, MP3, MP4, RA, and WMA. iPod nano, iPod touch, iPod classic, iPhone, iPad, Zune, PSP, video-capable MP3 players, video-capable mobile phones, Pocket PC, etc. Step 1: Click "Open File". Go to the folder where the AVI file is located. Step 2: Add the input file. Choose and add the file you wish to convert from AVI to MP4. Step 3: Check if you have selected the correct AVI file. After you have chosen the AVI file, it will appear in the interface. It is best to check if the file displayed is the correct file you want to convert from AVI to MP4 format. Step 4: Set the format of the output file by selecting MP4 from the "Profile" drop down box. 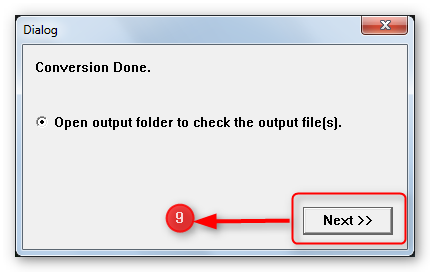 Step 5: Set the output path by choosing the output folder where you want the save the converted file. Step 6: Click the "Convert" button to start the AVI to MP4 conversion. Step 7: Check conversion status. The AVI to MP4 conversion status can be checked on the upper part of the converter's interface. Step 8: Another way to check on the conversion status. You may also check the AVI to MP4 conversion status at the bottom of the interface. Step 9: Conversion is done. 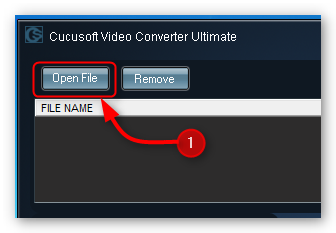 Once the AVI to MP4 conversion is finished, you will get a "Conversion Done" dialog box, just click "Next" to open the output folder where the converted file was saved.